Imagine an industry so sweet yet so conniving. Imagine an industry being awarded for keeping scientific evidence from consumers.Yes, sugar. Follow the money, as my brother likes to say. Does big business have no conscience? My good friend, dietician Cheryl Weiss, says that sugar is the new fat. Industry used the low-fat craze as a ruse to load us all up with sugar–and make us fat! Now that my rant of the day is done, how about something naturally sweet and delicious? 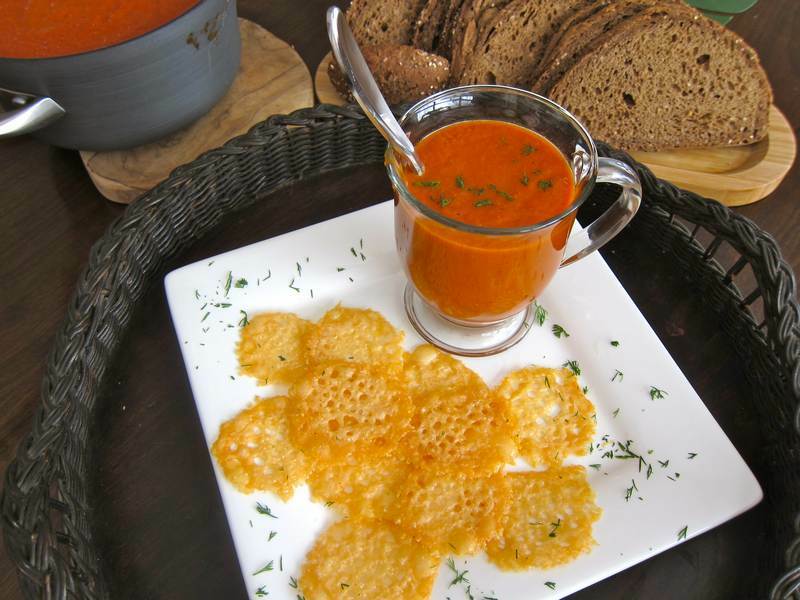 Plum Tomato Dill Bisque with Cheese Crisps–Sweet indeed! Heat the olive oil in a large pot. Sauté onion and garlic on low heat, with the pot covered, for about 10 minutes until tender, but not brown. 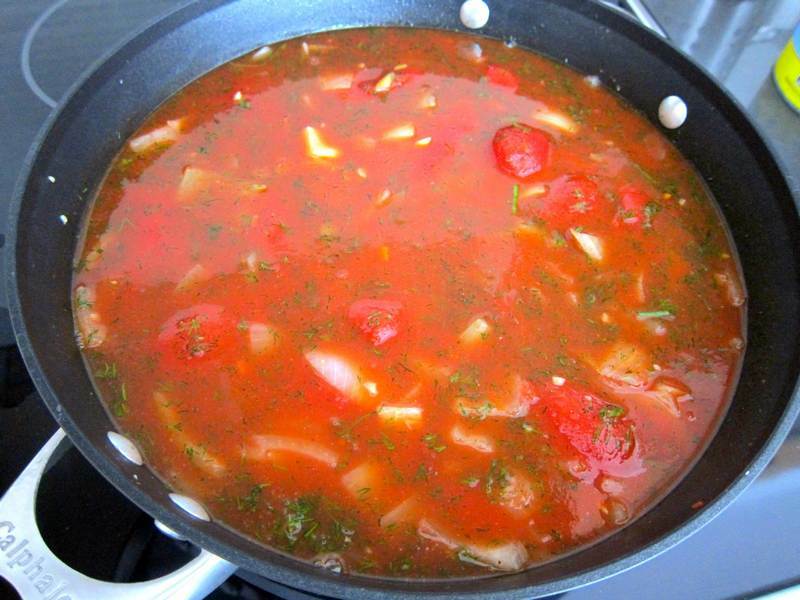 Add tomatoes, broth, sauce and dill. Bring to a boil. Simmer, covered for 30 minutes. Purée in a blender. Taste before seasoning with salt and pepper. Serve with Cheese Crisps or garnish with a dollop of sour cream, yogurt or tzatziki. Serves 8. 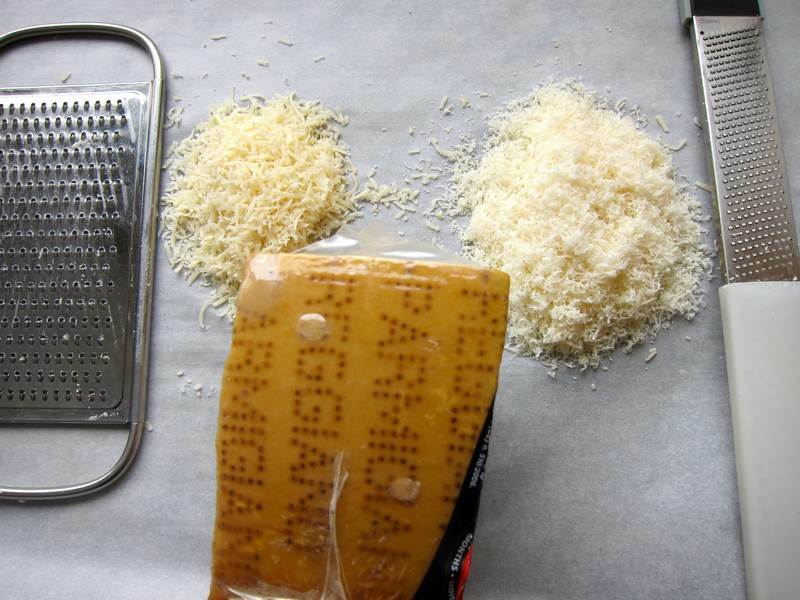 Grate 1 ounce of the Parmigiano finely and then another ounce of long shreds. Combine them. 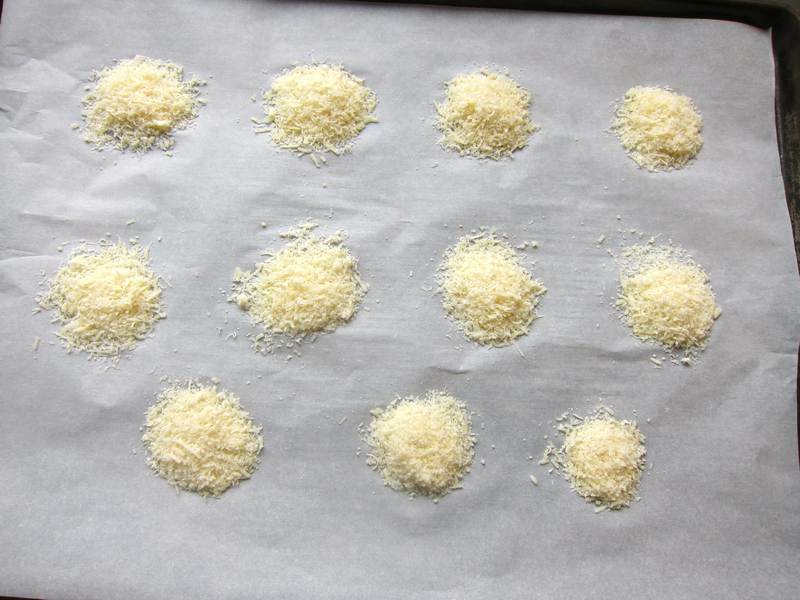 Form heaping tablespoons of the grated Parmigiano on the parchment papers. Bake for about 4 minutes or until golden. Cool slightly and lift with a metal spatula. Serve at room temperature. 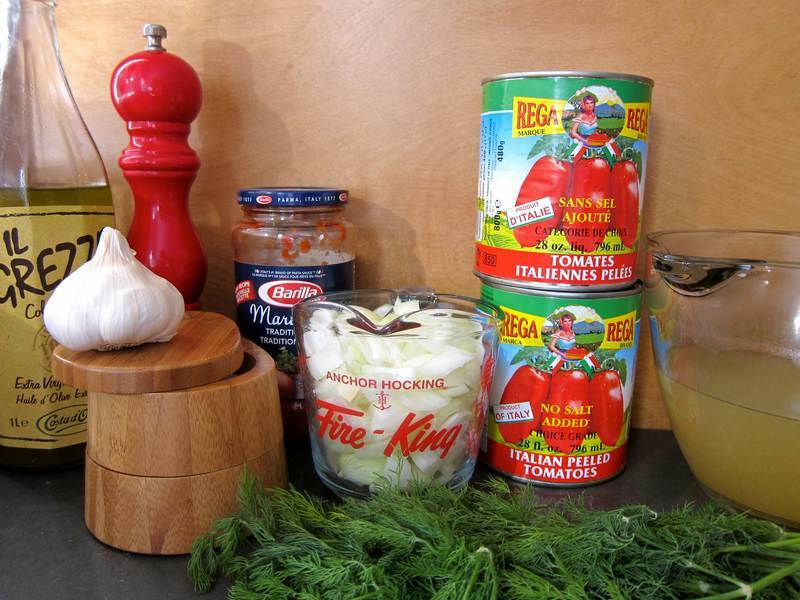 Thanks to my good friend, Maitre Myra Aizer Goldberg, for this wonderful Tomato Dill Bisque recipe. Myra won the Tasty Turkey Prize Pack. Send in your favourite recipes for a chance to win the next JC prize. The excellent canned plum tomatoes used here were from Boulangerie et Patisserie Molisana on Somerled. What’s your favourite canned plum tomato? 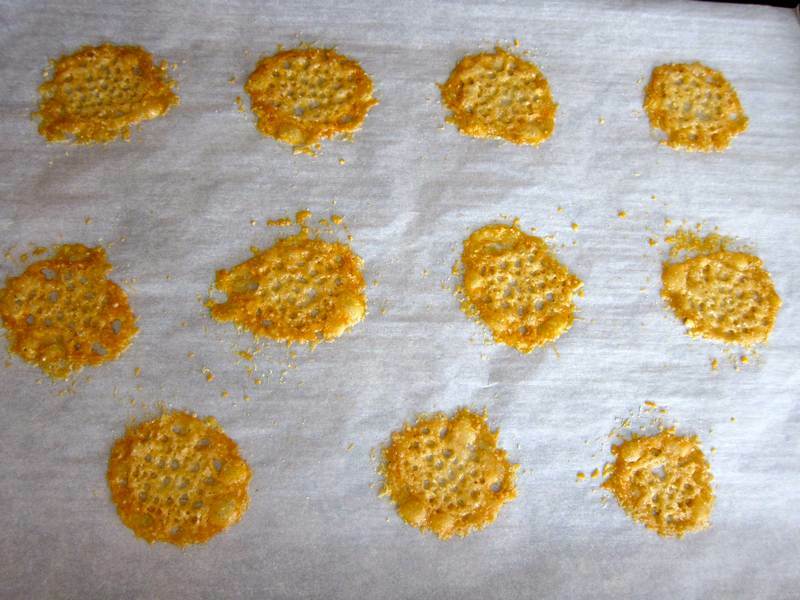 Look here for the original Cheese Crisp recipe. Check out my cousin Sarah Baxter’s lovely, natural, hand knitted children’s toys at Elephant Emporium. You are invited to a Pampered Chef – Jittery Cook get together on Sunday, April 28, at 1:00. Email [email protected] if you’d like to reserve a spot. Christina Abboud will demo 3 recipes and you’ll get to go home with new cooking ideas and the promise of new, excellent Pampered Chef cookware in your near future. What a wonderful recipe! I know we’re supposed to switch to more “summery” soups (gazpacho, maybe?) in the coming months but I love a warm, comforting tomato soup even when it’s hot and sticky out. Love your last pic! Thanks! I’ve made this soup twice and love how it reminds me of childhood even though it has a touch of sophistication. I love that last pic too! Thanks Cheryl. Your phrase keeps rolling through my head–Sugar is the new fat! So catchy.